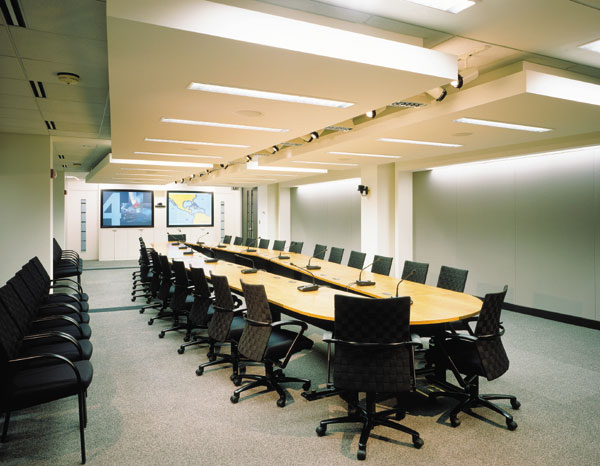 FORMA Design was commissioned to design the Conference Center for the Latin American & Caribbean Group of the World Bank, to include honorific spaces and state of the art video conferencing rooms. 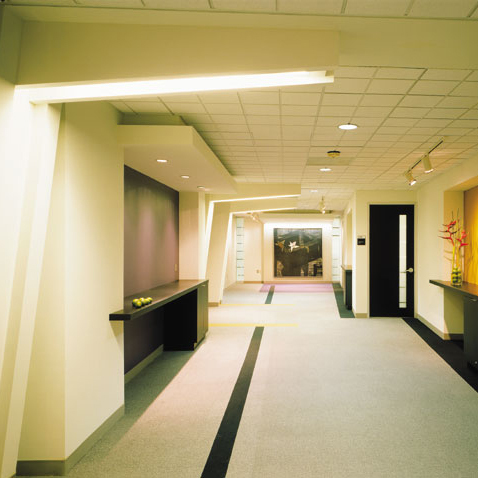 Circulation areas were visually widened by the angular illuminated “street lights” which subdivide the space for various functions such as reception area, guest seating, break-out for the conference rooms, brochure displays etc. 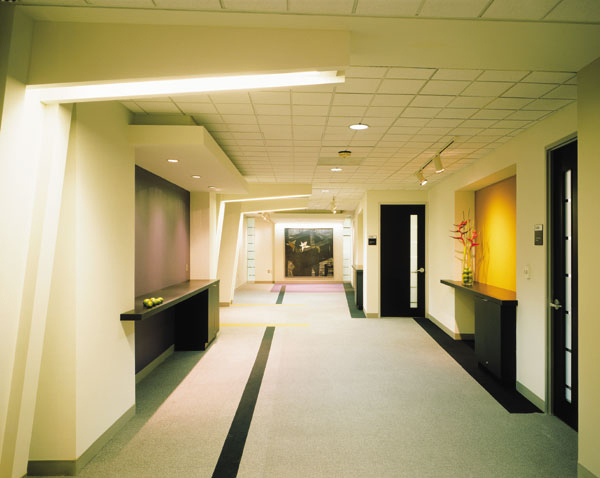 Illuminated end-walls and counters highlight art, flowers or food. 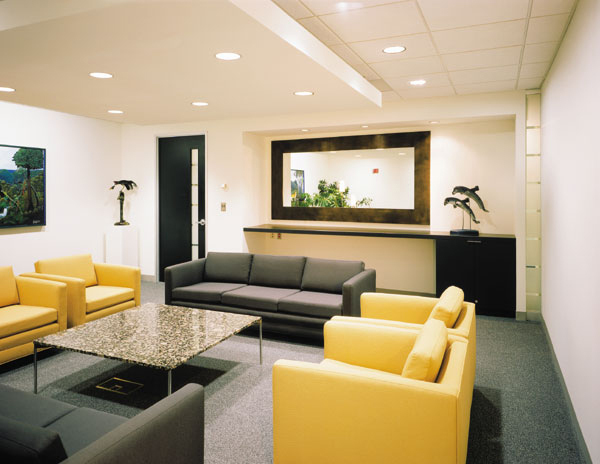 A VP lounge accommodates informal meetings and is set up for future video conferencing. 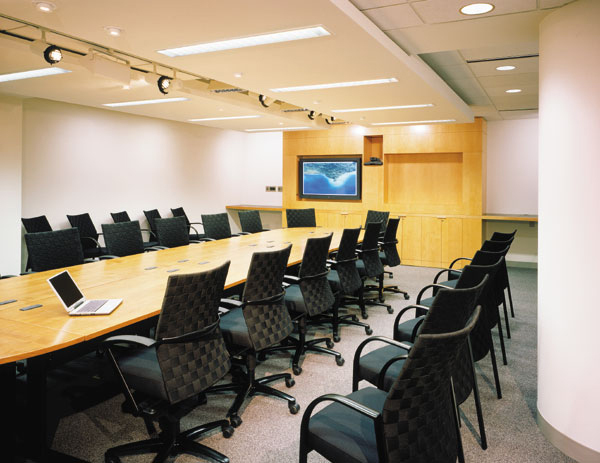 Large multi-functional conference room furniture configures into various distinct arrangements.